strive for optimum designs developed in shorter design cycles. the design process of many companies, in fact in many different industries. 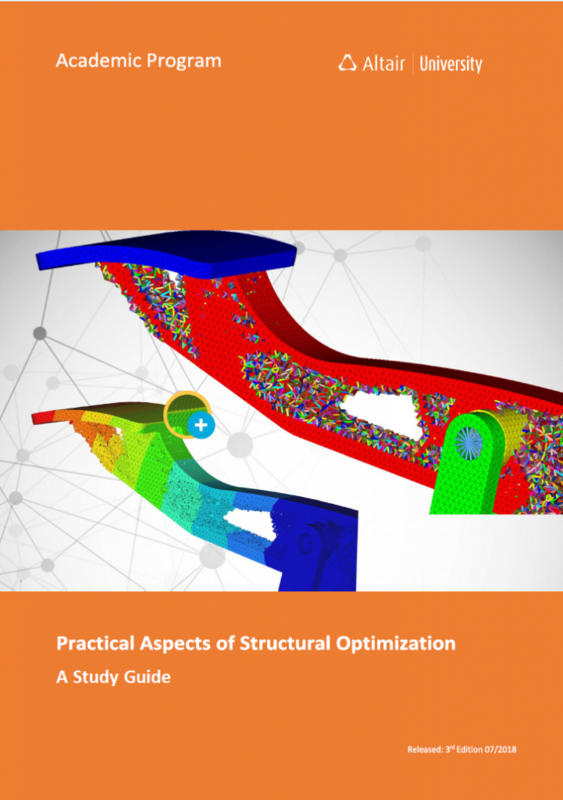 This study guide aims to provide a basic introduction in the different optimization methods available with OptiStruct. The focus is on the needs and questions of a novice user who is interested to learn more about the “inspiring” world of optimization. Along with the introduction into the different optimization techniques such as topology-, topography-, size-, shape-, and composite optimization, selected practical (conceptual) examples are discussed in some detail. An ultimately important enhancement to this guide is the chapter “Structural Optimization Background” written by Professor Axel Schumacher (University of Wuppertal, Faculty D, Mechanical Engineering, Chair for Optimization of Mechanical Structures) with the focus on general theoretical aspects of optimization.